Every week without a patch or update for Reliefs. 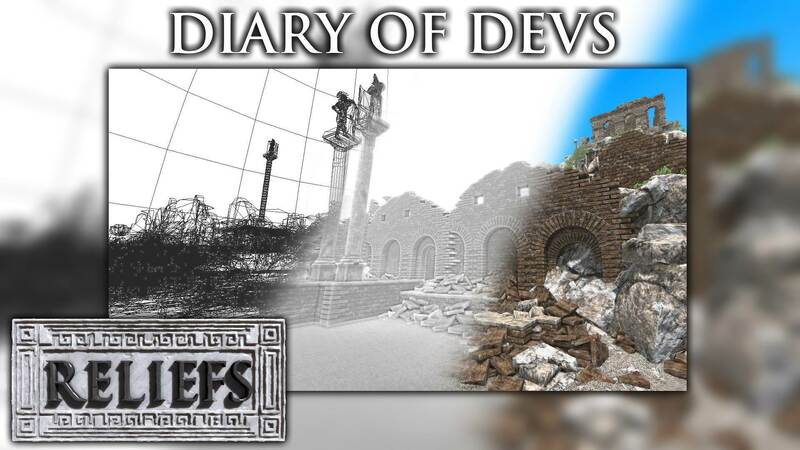 I would do a small diary to explain the progress of the next update for Reliefs. In this diary, I show you the last screenshots, objects or just you explain the next patch or update content. I try to involve you in the development of the game, in order to give you the last news of the game development. Do not hesitate to submit your opinion. A new area will be available with this update! The world open of the game start to be developed. If you don't know, the world of Reliefs is split by 100 areas that make the huge open world of the game. Each area is made manually without automatic world generator. All small objects (rocks, grasses,...) are positioned by me in the Reliefs World Map Editor (RWME). This level editor of Reliefs will be available at the end of the development of the game if you want to change the world of Reliefs. For this update, you can explore a most big structure available in the game for the moment. A Roman lighthouse (based on the true plan on a real lighthouse who exist in Spain) that you need to explore to collect a new statue. A new small village with a big harbor can be visited and the rivers arrived in the game. For the screenshots below, the vegetation is not added, so that's why it's a desert for the moment.